In 1989, a small area in the state of Nevada, known as Groom Lake and owned by the US Air Force, has become extremely popular. Until then, the words “Area 51” and especially “Groom Lake” (“Groom Lake” – “Lake Konyukh”) and “Papus Lake” (“Papoose Lake” – “Lake of the Child”) were not known to the general public. In scientific circles this place was known as “Land of Dreams” or simply as “Groom Lake”. 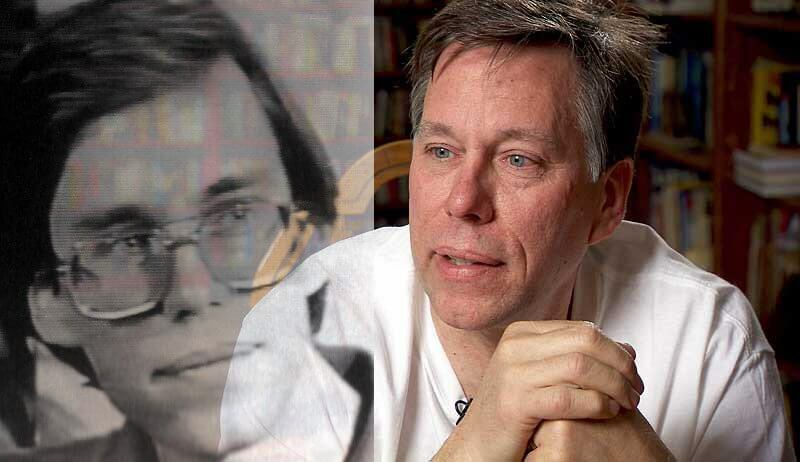 One night in May 1989, the Las Vegas radio station broadcast an unusual story. The young physicist, speaking under the pseudonym Dennis, told about nine “flying saucers”, investigated by a small government group on a secret base, located near Groom Lake. Dennis said that he worked at this base and is very knowledgeable about the research and development that is under way. A few weeks later he named his real name – Robert Lazar. Since then, disputes have not subsided around the figure of Lazar and what he told. Robert Lazar flew from McCarran Airport to Las Vegas and landed in Area 51, which is a secret government base at a training ground in Nevada. Area 51 is located approximately 125 miles north of Las Vegas near the dry Lake Grum Lake. From here the scientist was transported to an even more secret place, located about 15 miles south of Area 51. This place is called S4. Area S4 is located near the dried lake of Pape Lake. Before the appearance of Robert Lazar in the media, Soviet satellites photographed Area 51 and S4 three times a month. After Lazar told on television about the ongoing projects in the S4, the Soviet Union began to photograph the region of dry lakes almost daily. The initial interest of the USSR in this field in Nevada was caused by information about the Stealth and SR71 projects implemented in Area 51. In fact, the alien technology was investigated and implemented not there, but in Area S4. The form contains payment charges for the work carried out by Lazar on the basis of S4 for five days in December 1988. In one of the fields of the form the Lazar office number is indicated – E-6722MAJ. “MAJ” speaks about the project’s belonging to the Maji system, controlled by MJ-12. The same is evident on the plastic card Lazar, giving access to the necessary parts of the base for work. At the bottom of the pass, various sectors are marked, to which its owner could have access. In the lower left corner is the mark “S4”. About the other three sectors – DS, ETL, WX – Lazar does not know anything. When the bus carrying the base’s officers drove into Area S4, through its darkened windows to the left of the road Lazar saw a number of hangars “drowned” in the base of the mountain. After the last, ninth, hangar, the bus sharply turned to the left and stopped. Outside passengers were greeted by guards with angry, dog-tearing dogs. Despite the grins, the dogs did not make any sounds. They all have removed the vocal cords so that they can not be detected by their barking or growling. Passing the guard, Lazar and his companions approached the only door cut in the mountain. This was the entrance to the underground research complex of the S4 base. Behind the door was a small empty room with one guard. In the next room, the newcomers were examined and passed on. A long corridor led to the control room of the hangar doors, laboratories, a medical center and other premises. Here, scientists engaged not only in physical and technical research, but also got acquainted with various aspects of everything related to aliens from outer space. According to Lazar, evolution on Earth is controlled by aliens for many millennia, and the last 15 years between them and scientists of the S4 base is a direct exchange of technology. In S4, all the technological aspects of flying saucers were investigated. Lazar dealt with the physical basis of the movement of these vehicles. He, like other researchers, believes that the whole thing is in the gravitational forces and the ways of their management. At the heart of the space-time system are gravitational interactions, so mastering them, you can arbitrarily change this system or, in other words, move in it. The power plant of a flying saucer creates different gravitational waves, which change the gravitational field. The door opening the entrance to the underground complex is at an angle of 90 degrees to a number of hangars. The hangar depicted in the diagram is the last (closest to the entrance) in this row. It contains a “plate”, which was available to Lazar for research. A ten-ton crane located in the hangar could carry it out. Repeatedly flight tests of the device, but Lazar could only observe the flights, and even then from the hangar. For a smooth surface and a streamlined shape, he called this plate “sports model”. The laboratory of propulsion systems is Lazar’s main workplace, where he worked in tandem with a scientist named Barry Castillo. Their couple did not contact other research groups. Any movement through the base was strictly controlled. Even when Lazar went to the toilet, he was accompanied by two hefty guards. In the report room, various secret materials were collected. “When I got into S4, I was taken to a small room, which had a desk, an armchair and about 120 research reports stored in blue folders. The materials covered a wide range of studies. Any scientist could find here something useful for the project he was working on. “The project” Galileo “, in which Lazar was engaged, was aimed at studying the physics and mechanics of the power unit” plates “. Reading reports of other researchers working on the same project, Lazar found confirmation of his theoretical developments. His attention was also attracted to the projects “Sidekick” and “Looking Glass”, because they touched on the problems of gravitational forces, over which he worked Lazar. The first was devoted to the study of beam weapons, and the second – to all the observed anomalous gravitational effects. Much of what is next to his laboratory, Lazar did not recognize. In his drawing he left a lot of question marks. On the first day of his arrival in S4 Lazar was taken to the medical center. There he was tested for allergic reactions, and then gave a drink of some kind of liquid. The doctor said that this will strengthen his immune system from the influence of extraterrestrial objects, with which he will have to come into contact. At night, Lazar’s stomach cramps began, undoubtedly related to this procedure. Lazar’s boss was Dennis Mariani. It was his name that the scientist chose as his pseudonym in his first public appearance. Mariani met Lazar with EG & G (Edgerton, Germeshausen and Grier), where he interviewed him and recruited him for work in S4. At that time, EG & G was at McCaren Airport in Las Vegas. Now it is located in a safer place – in the Nellis base, owned by the US Air Force. Another person with whom Lazar was in contact was a certain René. His status, specialty and time of stay on the basis of Lazar remained unknown. In total there were 22 people at that time, with passes with an admission in S4. The change in the gravitational field does not mean only a change in the forces of attraction and repulsion of the plate. First of all, the curvature of space occurs. Such observable UFO phenomena as instant disappearance, turns at practically impossible angles, changes in shape and color, occur due to distortion of the space around the UFO. To get from one point of space to another, no matter how far it is, it is necessary to curl the space so that these points are maximally close. The right figure shows the lines of electromagnetic waves under certain conditions – a phenomenon that can occur in nature. The left shows how the form of a flying saucer fits into this physics. Blue is the area of ​​circulation of gravitational flows. Scientists from S4 believe, therefore, that the idea of ​​the disk form does not come from aesthetic, aerodynamic or other reasons, but only from the laws of wave physics. The shape of the ship is chosen in such a way that, with minimal energy consumption, it all falls into the zone of maximum gravitational perturbation and curvature of space. Forms as it were a “gravitational bubble” containing a plate inside. With this mode of operation, it can become invisible to the outside observer, although it will be at the same place. The light coming from the object behind the flying saucer will go to the observer not rectilinearly, but bypassing the “bubble”, creating the illusion that there is nothing between the object and the object. The entire propulsion system of the ship consists of two components: field amplifiers and a reactor. In the lower part of the plate there are three amplifiers in a circle, above which, at the next level, there is a reactor, which is a small hemisphere, with a vertical pipe rising upwards. The diameter of each amplifier is about 60 cm. The amplifiers can deviate from their vertical axis, and, as Lazar says, they represent the only part of the plate that can move. The ability to move field amplifiers is necessary to create different forms of tractive effort. There are two circuits for the operation of amplifiers, which differ fundamentally in terms of the reproducible effect: Delta configuration and Omicron configuration. The delta configuration is used for interstellar flights. In this case, all three amplifiers are used in the triangulation-type mode. The operation of the three amplifiers is necessary to set in space the corresponding vector of the ship’s motion. The method of triangulation is used in terrestrial technologies, for example, when capturing images in 3D video modeling. Something similar happens when a sniper is found. By the sound of a shot taken by 5-6 microphones located at different points, you can accurately determine the location of the arrow. All three amplifiers in the Delta configuration are rotated so that their beams are focused at a certain point outside the ship. In this case, the point of intersection of the rays can be practically infinitely remote from it. The only limitation, according to Lazar, is that this point can not be less than 100 cm in diameter. Omicron configuration is used for flights above the planet’s surface. In this case, A-waves and B-waves of gravity are distinguished, aimed at meeting each other and creating a gravitational field in which the disk floats like a submarine in water. Lazar specifically notes that this is not about anti-gravity, as it may seem, but nevertheless about gravitational forces. And waves like “A” and waves like “B” are all different kinds of gravity, although we are used to believe that there is only one kind – gravity. Gravity, gravity is what holds, for example, the planets around the sun. This is B-gravity. A-gravity – these are the forces that bind together the elementary particles inside the nucleus of the atom, what is called “strong interaction” in physics. If these links are strengthened so that they go beyond the limits of the atom, then we get gravitational radiation already in the macrocosm. Any movement of a flying saucer is based on the emission of A waves. The energy of gravity is released in the reactor, and then accelerated to the desired value and in the desired direction by amplifiers. In the Omicon configuration, the amplifiers operate independently of one another. One amplifier can emit a gravitational wave vertically downwards, which will hold the plate above the ground, while others will be directed to the sides, and this will cause the disk to move in the horizontal plane. In this mode, the plates above the ground are usually flown, accessible to the casual observer. Since the amplifiers work separately, the energy for the “bubble” that makes the disk invisible is not enough. A complete curvature of the space surrounding the aircraft is possible when all three amplifiers emit gravitational beams perpendicular to the horizontal plane of the disk. In this case, the amplifiers work in a pulse and in turn, the queue is circling. The ripple frequency is 7.46 Hz. In this mode of operation, the plate hanging above the ground becomes invisible. In addition to wave physics in the studies of Robert Lazar, a great deal was devoted to studying the source of gravitational energy. Soviet scientists also took part in the project. Lazar was the first to come to the conclusion that Element 115 of Mendeleev’s Periodic Table is used as an energy source. Immediately after this, Soviet scientists from S4 were kicked out, and the remainder were given weapons. However, the very mechanism of how Element 115 sets the “plate” in motion, for scientists of the S4 base remains not fully disclosed. Lazar’s message about the stock of Element 115 stored in S4 is no less intriguing than his testimony about the extraterrestrials themselves. On Earth, this superheavy element in its pure form does not exist, and science can not yet get it in any way. Elements with three-digit numbers are obtained artificially in accelerators, but they are extremely unstable and live a fraction of a second. However, the calculations of scientists have shown that there must exist a so-called “transuranic island of stability”, to which 114 and 115 elements can be attributed. This means that they can exist without disintegrating for a relatively long time. The projects, in which Lazar took part, were part of the program of reconstruction engineering, which began in 1979. That year, between the administration of the base and the aliens, a conflict erupted. Under the treaty, aliens occupied a certain part of the base, conducting joint research with scientists and passing their technology to them. Once, despite the warnings of the aliens, the guard too tightly pulled off its ring surrounding the research site. They were all killed. Arriving reinforcements suffered the same fate. A total of 44 soldiers were killed. The aliens also killed the scientist, whom they trained, and left the base. Before leaving, they said that they would return and say the date of their return. However, this number of six digits is 1625хх. The last two are unknown, and Lazar does not have any ideas about what this could mean. On the basis of the equipment and technology of the aliens, which scientists have since investigated independently, trying to understand and recreate them in terrestrial conditions. Some results of regenerative engineering are the basis of scientific and technological achievements, especially in the military field. The general appearance of these creatures, often referred to as Grace, is well described by other sources. Lazar notes some details. In the chest of the stranger there is one large dark organ resembling a pear in shape. It contains the heart, lungs, stomach, other organs with unknown functions. On a thin neck like the veins appear individual muscles. Hearing organs do not have auricles. This gave rise to talk about the fact that aliens communicate telepathically. In fact, they can only use a higher sound frequency than people. For more advanced creatures, this is entirely logical, since the higher the frequency, the more information can be transmitted per unit of time. The birthplace of the aliens is the star system in the constellation Reticulum, called the constellation Grids in Russia. The system consists of two stars, Zeta Reticuli 1 and Zeta Retuculi 1 (2), around which planets revolve. According to documents from the blue folders, the aliens who visited Area S4 flew from the fourth planet of the Zeta 2. Aliens designate all cosmic bodies very simply. First give a name to the star, and then denote its planet numbers. The planet closest to the star gets number one, the next – two, etc. So, for example, our sun they denoted as Sol, Earth – Sol 3, followed by Mars – Sol 4. The Zeta Reticuli twin star system is 37 light years from Earth and is visible only from the Southern Hemisphere. The alien planet, like the Earth, revolves around its axis. One day on it in duration is equal to 90 terrestrial clock. The aliens say that they completely control and correct human evolution, directing it to the right direction for them. According to them, over the past 10,000 years, they have had 65 such interventions in the evolutionary process. This happens evenly, once every 150 years. They regard a person only as a genetic container, which is what they call it. The main tool for aliens in changing DNA is the virus, since it is the only organism capable of transmitting a new genetic code to humans. To preserve the “containers” from destruction to the Earth, religions were introduced. The aliens also claim that they are able to covertly influence the human psyche. This is best achieved when people are in a relaxed or relaxed state. Even better – in a dream. With active consciousness this method is not effective. Commenting on these materials, which he found in blue folders, Lazar notes that even if everything the aliens said was correctly understood and recorded, this does not at all mean the truth of this information. This, as they say, is just a word, which in reality can be a deliberate lie of aliens. The history of Robert Lazar stirred up not only the ufological community, but due to its specificity, it made a lot of noise among scientists and ordinary inhabitants. The story of the top-secret S4 database left no one indifferent. Lazar appeared as supporters, supporting him, and opponents who consider all this a pure fiction.